Courtesy of GULF TO BAY SOTHEBY’S INTERNAT. This one-of-a kind coastal masterpiece features over 5,700 sq. ft. of inspirational living. 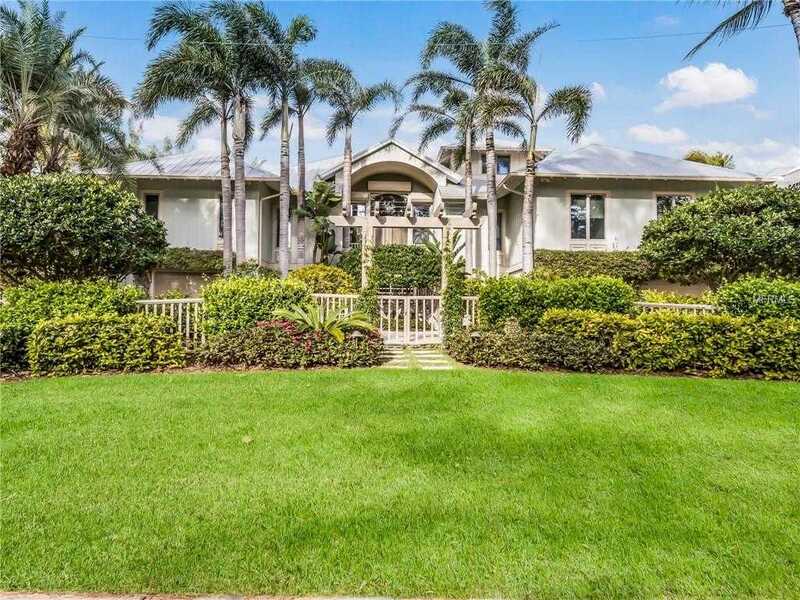 Custom built in 2000, this fabulous 5 bedroom, 5.5 bath waterfront home is situated on 128′ along the Gulf of Mexico. This multi-level home with hurricane resistant glass windows/doors and electric retractable screens on the lanai span the rear of the home and offers extraordinary water and beach views. The living room with high open beam volume ceiling flows seamlessly to the dining area with slate/carpet flooring, and to the family room with tray ceiling, built-in entertainment cabinetry, and wet bar. Custom millwork and finishes are found throughout including a chef’s kitchen with two Thermador ovens, custom cabinetry and pantry, wet bar, warming drawer, Subzero frig, Corian counters, and a wine refrigerator. Additionally, on the main floor is an elevator, two private en-suite bedrooms with deck/balcony. Also a waterfront master suite overlooks the caged heated pool/spa, and offers plantation shutters, and his/her large walk-in closets. Upper level has spectacular gulf views from the octagon style office and guest bedroom suite. The fully conforming lower level features a guest bedroom suite, a game room, large gym/exercise room, gulf front screened porch, 3-car garage and an abundance of storage. Complementing the interior, the outdoor space offers manicured grounds, lush natural foliage, outdoor shower, and an irrigation system. Please, send me more information on this property: MLS# D6106145 – $8,425,000 – 160 Gulf Blvd, Boca Grande, FL 33921. I would like to schedule a showing appointment for this property: MLS# D6106145 – $8,425,000 – 160 Gulf Blvd, Boca Grande, FL 33921.